Xiaomi as a brand is quite popular in the Indian markets ,and has become in even more so in the past couple of years. It may have been pushed out quite a few competitors out from the smartphone markets. The Redmi lineup from Xiaomi has been the real deal, and also been the source for most of its revenue. The Redmi 3S Plus is an accurate example of this. The phone had been announced back in 2016 and was aimed squarely at the price segment between the budget and mid-range price range. The phone comes with a 5.00 inch touchscreen display with a resolution of 720 pixels by 1280 pixels. On the processor aspect, we see that the Xiaomi Redmi 3S Plus is powered by 1.1 GHz octa-core processor and comes with 2GB of RAM. As far as the optics are concerned, the Xiaomi Redmi 3S Plus has a 13 MP primary camera on the rear and also a 5 MPl front shooter for selfies. But the phone is now fairly, outdated and it would be wise to upgrade to new devices such as the Redmi 6. If you’re looking to sell your used Redmi 3S Plus for the best price, Cashify can help you with that. Why Sell Your Old Redmi 3S Plus On Cashify? 1. Cashify’s automatically generated, transparent pricing model will need you to fill in certain detail about your Redmi 3S Plus’s condition, age, warranty period, and more. 2. Based on your inputs, it will offer you a fair price for your phone, along with a doorstep pickup so you don’t have to step out of your home to sell phones. 3. Cashify’s agent will then arrive and provide you the money for your Redmi 3S Plus right at your doorstep - in any payment method of your choice - cash, e-wallets, or even bank transfers. 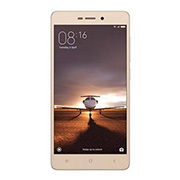 You can be assured of the best price if you are selling your old Redmi 3S Plus on Cashify’s website, with its fair and transparent pricing ands doorstep pickup for your device. Cashify has even partnered with nearly all the top global smartphone brands - which includes the likes of Apple, Samsung and OnePlus.